The club was founded in 1981 and has about 200 members. We arrange a Special Show once a year, known as “Rasspecialen”. We have a newsletter called ‘Släthåret’ for all members. If you would like to become a member of our nice club, read the information from our treasurer below. We are associated with The Swedish Kennel Club and The Swedish Terrier Club. The membership fee is paid in advance by calender year. The fee is 275 SEK for full membership and 100 SEK for a donated membership, and is to be paid before December 31:st. If you have any questions, contact our treasurer; kassor(a)foxterrierklubben. Adverts: The price for an ad is 300 SEK for a full page and 150 SEK for a half page in colour. For a black & white advert the price is 150 SEK for a full page and 75 SEK for a half page. Please pay your advert at the same time as you send it in. 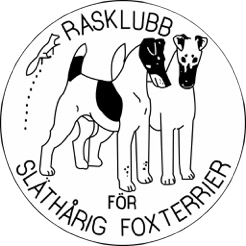 For more information contact our newsletter editor by e-mail; tidningen(a)foxterrierklubben.com.